"When selecting our employees and collaborators, we seek outstanding individuals who have clear professional plans and aspirations as well as the desire to grow. 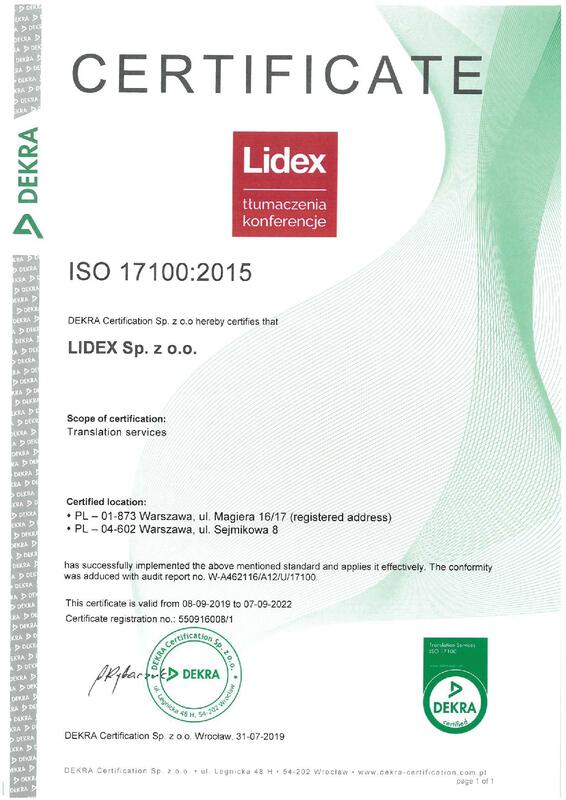 Working at LIDEX requires that every member of our Team demonstrates maximum commitment and continues to strive for perfection in both personal and professional capacity." Improving the quality of life through the removal of linguistic and technical barriers in the interactions between individuals. We always want to remain the leader in the translation and technical services market in order to facilitate interactions between people as well as their access to knowledge and information. The primary objective of LIDEX is providing comprehensive assistance to our Customers by providing them with language and technical services of superior quality. 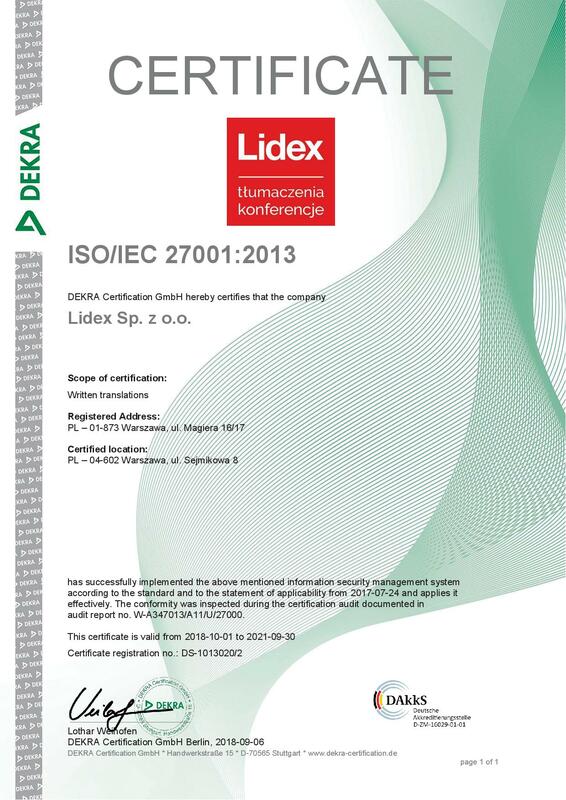 LIDEX – A CUSTOMER-FRIENDLY COMPANY LIDEX was awarded the title of Customer Friendly Company in two editions of the programme. Our mission, vision, objectives and values are more than mere slogans, and our customer-friendly approach is very much in line with the expectations of our Customers. The LIDEX TEAM Neither our mission and vision nor our organisational culture are implemented or built by themselves. It is the LIDEX Team – a group of committed, ambitious and passionate individuals – which is responsible for our success. 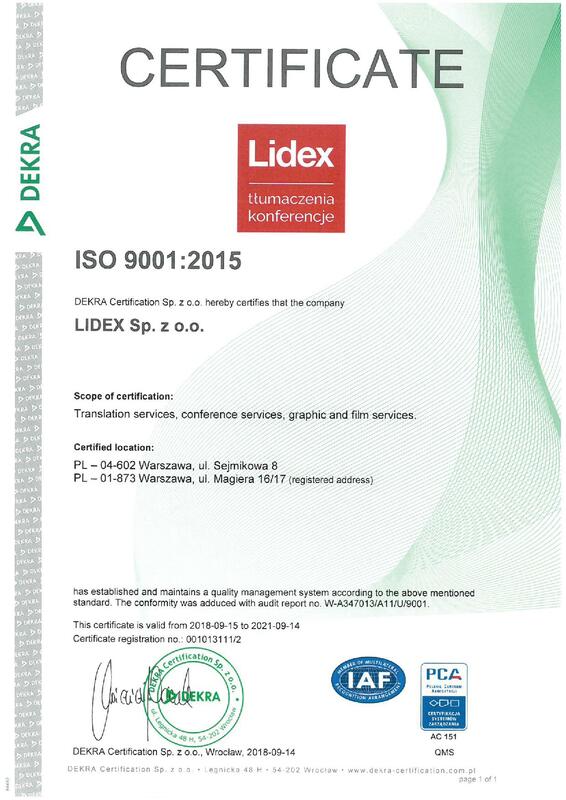 It is through their efforts that only LIDEX deserves the title of the LEADER in the translation market. THE LIDEX HEAD OFFICE Our corporate head office on Sejmikowa Street in Warsaw is our own, state-of-the-art A-class office building in which the LIDEX Team can feel comfortable and pursue our mission and vision of with passion, and in which our Customers and partners are always welcome.